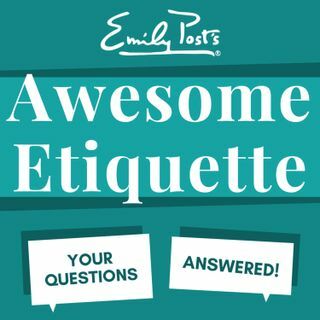 We take your questions on saying thank you after a raise, if your partner is invited to a co-workers party, when a chivalrous act feels forced, replying to thank yous, and then even more questions on thank yous. Plus your feedback, etiquette salute and postscript segment that is the third installment from Jen Doll's Be Better At Parties NYT Article. The sustaining members extra content addresses some dos and don’ts of wearing a tux.